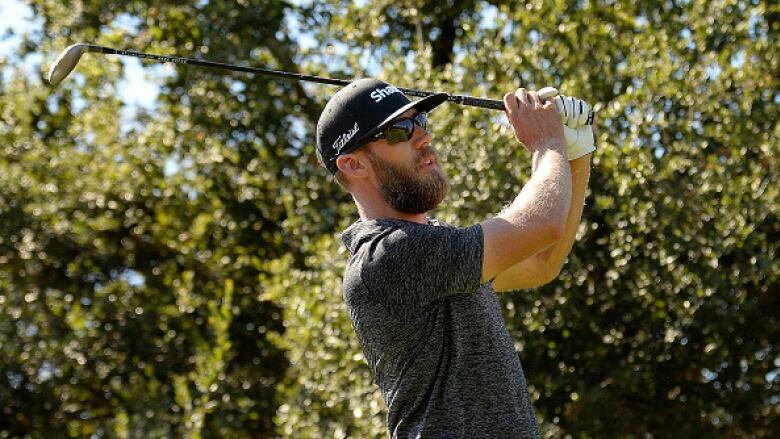 Canadians Graham DeLaet and Nick Taylor shot 69 and 68, respectively, during the third round of the Safeway Open. They enter the final day of the tournament with a chance to push for the top spot. PGA Tour rookie Tyler Duncan parred the 18th hole for a scrambling 1-under 71 to maintain a one-stroke lead Saturday after three rounds of the Safeway Open. Duncan, whose only previous PGA Tour event was the 2015 U.S. Open, had five birdies and four birdies to reach 14-under 202 in the season opener at Silverado Resort and Spa. Chesson Hadley, a one-time PGA Tour winner who had a course-record 61 in the second round, was a stroke back after a 70. Bud Cauley, winless in five PGA Tour seasons, shot a 66 to join defending champion Brendan Steele (72) at 12 under. Emiliano Grillo, the 2015 tournament winner, shot 68 to match Canadian Graham DeLaet (69) at 11 under. DeLaet of Weyburn, Sask., shot a 3-under 69. Nick Taylor of Abbotsford, B.C., is 9 under after a 68, Corey Conners (70) of Listowel, Ont., is 7 under while Ben Silverman (71) of Thornhill, Ont., and David Hearn (69) of Brantford, Ont., are 4 under. Conners and Silverman are making their debuts as full PGA Tour members. Phil Mickelson, seven shots behind Duncan entering the round after consecutive 69s, had a 68 to join Bill Haas (69), Tony Finau (71) and Andrew Putnam (69) at 10 under. Mickelson has seven consecutive rounds in the 60s in the event. He finished eighth last year and is seeking is first title since the 2013 British Open. After a bogey on the second hole, the 47-year-old Mickelson birdied five of his last six holes on the front nine to move to 11 under and within two shots of the lead. But Mickelson, playing in his 91st PGA Tour event since his last victory, missed a short putt for birdie on the 16th and short putt for par on the 17th. He made a short birdie putt on the 18th.